Who has believed our message? To whom has the arm of the Lord been revealed? For he grew up before him as a tender plant, and as a root out of dry ground. He has no form nor comeliness. When we see him, there is no beauty that we should desire him. He was despised, and rejected by men; a man of sorrows, and familiar with suffering; as one from whom men hide their face, and we despised him and we did not value him. Surely he has borne our sicknesses, and carried our pains; yet we considered him stricken, smitten by God, and afflicted. But he was pierced for our transgressions. He was crushed for our iniquities. 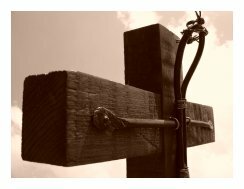 The punishment that brought our peace was on him; and by his wounds we are healed. All we like sheep have gone astray. Everyone has turned to his own way; and the LORD has laid on him the iniquity of us all. Isaiah 53:1-6 NHEB. Previous Bible study lessons: Jewish Ten Commandments #5.12. 1) What are the Hebrew Scriptures? 2) What is the Torah? 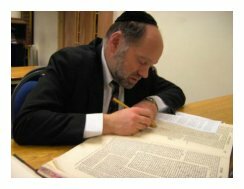 3) What is the Talmud? 4) What is the Mishnah? Chances are you've clicked on this Bible study because you're intrigued by the thought of 613 Commandments. Most people realize ten commandments are difficult enough to obey, so how much harder would it be to obey Six Hundred and Thirteen?! Relax, relax... I can show you the secret for personal obedience to all of God's commands, from the 1st commandment to the 613th. God's plan is a mystery, but to a humble soul this beautiful plan of redemption will bring eternal life. The same God who created Adam, led Abraham to Canaan, and called Moses and the Israelites out of Egypt will introduce himself to you, if you come to him on his terms. God makes covenants, people respond, that's the way it's always been done. God bless you during this exciting, insightful Scripture study. The Hebrew Scriptures, aka Tenach or Jewish Bible, are the original inspired writings for the Hebrew people. God himself wrote a part of the Scriptures (Exodus 31:18), while he authored the remainder through many other appointed prophets, priests, and kings to record what he wanted the Jews to know. Moses wrote the Pentateuch, which relays God's 613 Commandments to the Hebrews in their entirety. The Scriptures are sometimes called the Law and Prophets. 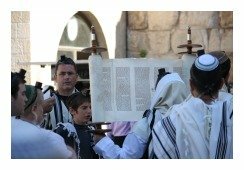 The Torah (pronounced toe-RAH) is the Jewish lifestyle which is grounded in the Scriptures. The term "Torah" means "guidance or direction from God to His people." Jews were to listen and understand the Law and strive to live by the Law. The Torah isn't so much a writing as it is a lifestyle. The Talmud derives its name from the Hebrew word talmud which means "to study" or "learning." Jewish rabbis between A.D. 250-500 compiled a collection of Jewish writings and commentary to form the Talmud. The Mishnah is the first, and most basic part, of the Talmud. The Mishnah is a collection of traditional laws (halakoth) orally handed down from teacher to student. It was compiled from 200 BC to AD 135. Although the Talmud speaks about much of Jewish life, we're going to focus on what it says about the Law. The Talmud informs us that there are 613 Torah commandments (Hebrew = mitzvahs). There are so many false teachings opposing true Judaism in the world. How does a true spiritual Jew know what is right and what is real? How do they know what God has told them about their personal salvation? Who can be trusted by Jews who are seeking salvation? God affirms the human error through Isaiah, "The Lord said, 'Because this people draws near with their mouth and with their lips to honor me, but they have removed their heart far from me, but in vain do they worship me, teaching the commandments and doctrines of men'" (Isaiah 29:13). Take this following teaching about the 613 commandments for instance, "The commandments were given to refine and heal the soul. They do this by connecting the self to varied channels of G-d's light." Luria. People like Rabbi Yitzchak Luria lead Jews astray because they teach unbiblical ideas, such as reincarnation. It's a fiasco. That statement comes from one who applies his godless opinions to two very important subjects - the 613 Commandments and salvation. God spoke to the Hebrews directly, leaving his word with them in the form of the Law, Books of Wisdom, and the Prophets. A true Jew will love and learn these great books that are inspired of God. They will discern and refute false teachers because their doctrines end in eternal spiritual death (Proverbs 16:25; Isaiah 55:6-7; 55:8-9). God didn't give the 613 Commandments to "heal the soul," he gave the commandments for other reasons. One reason is that by learning and applying the Law the Hebrew nation would bring glory to God before other nations of the world (Isaiah 43:20-21). Another reason for the Law is that it shows individual men and women that they cannot possibly measure up to the holiness of God (Jeremiah 17:9-10; 18:11) Therefore, they come to realize that they are in need of a Savior, their promised Messiah (Deuteronomy 18:15-18). The ceremonial and sacrificial system appeased God for a time, but those things looked forward to the future Messiah. Yeshua stated, "For before John came, all the prophets and the law of Moses looked forward to this present time" Matthew 11:13. King David's Psalm 22 is a picture of the coming Messiah that became so real only God could have been in control of it. The Book of Isaiah chapters 7-14 are also very messianic in nature and should be studied by those spiritual Jews who are seeking their Savior. There is one very critical chapter in the Scriptures, though, that requires its own section. Humble Jewish rabbis over the centuries have uncovered Isaiah 53 from its concealed position. Historically, many false teachers of Judaism, in their failure to reconcile this chapter with the truth, have instead buried it. Most Jews aren't aware of this practice by certain, befuddled Jewish rabbis. Don't believe me? Walk into any synagogue during a Sabbath service and ask to read Isaiah 53 - you'll be quickly hushed and ushered out of the service. You can also meet your Messiah, like Rabbi Yitzhak Kaduri did. Here are some additional teachings from Judaism from prior centuries proving that Isaiah 53 is real, and especially convincing of the Messiah's nature and imminent return. 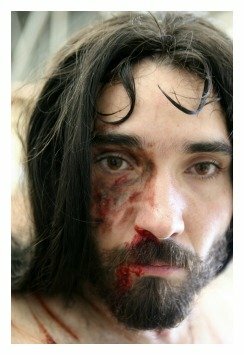 "But He was wounded" ... which means that since the Messiah bears our sins, thus producing the effect of his becoming bruised, it naturally follows that whosoever fails to admit that our Messiah thus suffers for our sins, that person must endure and suffer for his own sins himself" (Rabbi Elijah de Vidas). "I'll proceed in explaining these verses of our own Messiah, who G-d willing, will come speedily in our days. I am surprised that Rashi and Rabbi David Kimchi have not, with the Targums, applied it to the Messiah likewise" (Rabbi Naphtali ben Asher Altshuler, ca. 1650 A.D.). "Our own rabbis of blessed memory with one voice accept and affirm the opinion that the prophet is speaking of the King Messiah. And we ourselves shall also adhere to the same view" (Rabbi Moshe Le Sheich, second half of the 16th century). "I am pleased to interpret it in accordance with our rabbis, of the King Messiah, and will be careful, so far as I am able, to adhere to the literal sense: thus, possible, I shall be free from the fancied and far-fetched interpretations of which others have been guilty. . ." (Rabbi Moshe Kohen Ibn Crispin of Cordova and Toledo in Spain, ca. 1350). This "unknown God" of Isaiah 53 is the Jewish Messiah. Okay, but has He already appeared? Many true Jews have already met their Messiah. You can be the next. The Messiah has come and your Jewish brothers recorded the incredible event. Many misguided Jews don't believe that their own God can deliver on his promises, and they're in the majority, but that doesn't make them right, it only makes them numerous and comfortable. You can be different. You can meet your God (Amos 4:12). Prophet Ezekiel (Ezekiel 36:26-27) and Prophet Jeremiah (Jeremiah 29:13; 31:33) tells Jews of the coming New Covenant which replaces the former covenant given to Moses. The coming Messiah and his sacrificial death would usher in the New Covenant. The New Covenant gives an individual Jew, i.e. not the Nation of Israel, the Spirit indwelling his body and soul. God's Spirit possesses true spiritual Jews (and now Gentiles) with God's enlightening Spirit and power to live according to the New Commandments. God's book for real Hebrews confirms that the New Covenant has come. The New Covenant arrived in a person who lived perfectly, died sacrificially, and rose to heaven to intercede on your behalf (John 20:30-31). You can be totally forgiven by God through his Messiah! You can then be raised to life (after your physical death) like your spiritual ancestors. Both Moses and Elijah appeared in person to speak with the Messiah. God also spoke, affirming that his Son is the Messiah who's word must be heeded (Matthew 17:3-6). God's Plan of Redemption had a major milestone during and immediately after Yeshua's earthly lifetime. A New Covenant replaced the Old Covenant (Hebrews 10:9). The secret mysteries of the Law and Prophets were revealed by God's Son (Matthew 5:17-19), and later by his new prophets, aka apostles, such as Paul (1 Corinthians 2:1; 2:7). God's authority was passed onto his Son, Jesus, during Christ's life (Hebrews 3:6; John 5:22-23). Yeshua is the anointed One from God (Hebrews 9:14-15); and he established a system of new commandments (John 13:34-35). And unlike the Jewish religious leaders' unbearable demands, Jesus' Commandments aren't burdensome (Matthew 23:1-5). True Jews who love God must, absolutely MUST, prove and display that love by accepting and loving and following the Messiah, Jesus Christ. They MUST also accept and cherish the new words, or new commandments, that Jesus established in the New Covenant (Mark 8:38). Now that you believe God did what He said He would do you MUST respond to his New Covenant. God is waiting for you to repent and turn to him and Jesus, his only begotten Son (John 3:16). Jesus said, "If you love me, obey my commandments. And I will ask the Father, and he will give you another Advocate, who will never leave you. He is the Holy Spirit, who leads into all truth. The world cannot receive him, because it isn't looking for him and doesn't recognize him" (John 14:15-17). The only way, dear friend, to obey God's 613 Commandments is to place pure faith into God's one and only Son. Jesus wants to introduce you, his brother or sister, to God the Father in heaven (Hebrews 2:10-12). Jesus came for you, to purchase your redemption, and to save your soul for an eternity spent in heaven. Follow the path that Abraham walked, by placing your faith in God alone (Hebrews 2:16). 613 Commandments - Grasp This! There are 613 commandments by which God expected Jewish individuals, priests, and kings to live. The laws were perfect and just guidelines by which to live, work, and worship; but NOT ways to secure eternal forgiveness and salvation for one's soul. Faith in God and his Messiah has always been the way to eternal life. Jesus prophesied about himself through Isaiah, "The Spirit of the Sovereign Lord is upon me, for the Lord has anointed me to bring good news to the humble. He has sent me to comfort the brokenhearted and to proclaim that captives will be released and prisoners set free" (Isaiah 61:1). Jesus knows that you're striving to please God by following all of these biblical commandments. Today, he wants you to answer his call, "Come to me, all you who labor and are heavily burdened, and I will give you rest. Take my yoke upon you, and learn from me, for I am gentle and humble in heart; and you will find rest for your souls. For my yoke is easy, and my burden is light" Matthew 11:28-30. God wants YOU to live forever, please understand and accept his grace (Isaiah 51:6). But, like so many others, you've probably forgotten about him (Isaiah 51:13); therefore, repent towards God and live forever (Isaiah 57:15). You're invited to follow along in our (click) Sinners Prayer. Next Bible study lesson: Jesus' Commandment #5.14. 1) What did Moses' Law and the prophets point to in the distant future? (see Matthew 11:13; Romans 3:25-26). How was such a thing possible? 2) Do Jews believe in a resurrection to eternal life in heaven? (see Job 19:25-26; 2 Samuel 12:23). 3) Faith believes in God, and faith obeys God, but not perfectly. Thankfully, repentance appeases God after we commit sin, resulting in our forgiveness. What is repentance? (see Ezra 9). "For to us a child is born. To us a Son is given; and the government will be on his shoulders. His name will be called Wonderful, Counselor, Mighty God, Everlasting Father, Prince of Peace. Of the increase of his government and of peace there shall be no end, on the throne of David, and on his kingdom, to establish it, and to uphold it with justice and with righteousness from that time on, even forever. The zeal of the LORD of hosts will perform this" (Isaiah 9:6-7). "Oh come, let us worship and bow down. Let us kneel before the LORD, our Maker, for he is our God. We are the people of his pasture, and the sheep in his care. Today, oh that you would hear his voice!" (Psalm 95:6-7). O mighty God of Israel, My soul is in anguish because I've been blinded to the truth of the Messiah, Jesus Christ. Forgive me, LORD, please forgive my ignorance. You prophesied that your Son would come and set us free, but I didn't believe you. Thank you for opening my eyes to your Scriptures and New Gospel like you did for Job 38:36. I'm excited that I can know you, the God who saved Abraham, Moses, King David, and all the saints of old. I'm unworthy, God, but so very grateful that you have touched my soul with your sweet and gentle, but awesome power. I resound with joy like your servant David, "Sing a new song to the LORD, for he has done wonderful deeds. His right hand has won a mighty victory; his holy arm has shown his saving power!" I pray in the name of Jesus Christ my Savior. Amen. Share on Facebook below and click for your Free Printable Bible Study Lesson: 613 Commandments #5.13. Click here for the free printable: List of the 613 Commandments. Click here for the printable: List of the Ten Commandments. Special Note: I'm grateful to Big Book Media & Free Bible Images, stock.xchng, Morgue Files, and Stock Photos For Free for the use of their photos for the 613 Commandments Bible Study Lesson. Don't miss this video about applying the Ten Commandments to REAL LIFE!